News Americas, NEW YORK, NY, Mon. 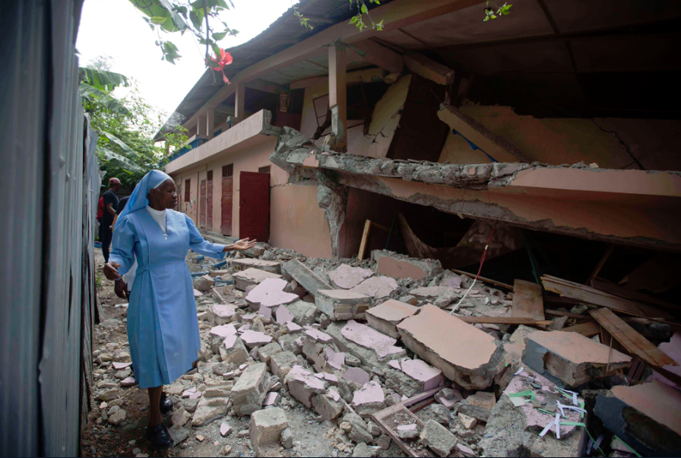 Oct. 8, 2018: An aftershock measuring 5.2 on the Richter scale shook portions of Haiti again Sunday, on the heels of the 5.9 quake on Saturday evening that left 12 dead and some 188 injured. But 12 people – 8 in Port-de-Paix, 1 in Saint-Louis du Nord and 3 in Gros Morne (Artibonite) died as a result of the 5.9 quake. At least 188 people are injured, and 151 of them are cared for in hospitals in the North West, Artibonite and North departments. Dozens of homes are destroyed or damaged, including cases of cracked houses. The earthquake caused the front of the central police station of Port-de-Paix, to fall but the rest of the building did not suffer visible damage. Yesterday, Civil Protection teams were at work across the country, and especially in the North West, where slight aftershocks have been felt since. Rep. Wilson added that she remains committed to fighting to preserve #TPS for Haitian nationals living and working in the U.S. Senator Marco Rubio sent “thoughts and prayers” while UNICEF said it was assessing the needs of families and children impacted as of Sunday. The news comes as the US Geological Survey said 8 other smaller quakes, excluding the Haiti quakes, shook three other Caribbean islands between Saturday night and Sunday. A 3.0 quake shook Miches in the Dominican Republic Saturday evening around 7:07 p.m. EST, the USGS said before the Haiti 5.9 quake struck at 7:49 p.m.
A quake registering 3.4 on the Richter scale occurred in San Juan, Puerto Rico around 11:30 p.m. Saturday night while another registering 2.8 occurred around 1 a.m. Sunday morning in San Antonia, Puerto Rico. This was followed by a smaller 2.7 quake at around 3 a.m. west of Rincon. At around 3:13 a.m. EST, a magnitude 2.5 quake shook Punta Cana in the Dominican Republic followed by one in registering at 3.0 on the Richter Scale at 3:50 a.m. in Boca de Yuma. Around 4:30 a.m., a 3.1 quake shook Charlotte Amalie, in the U.S.V.I., the USGS said while at around 9 a.m. there was a 3.2 rattle in San Juan, Puerto Rico. 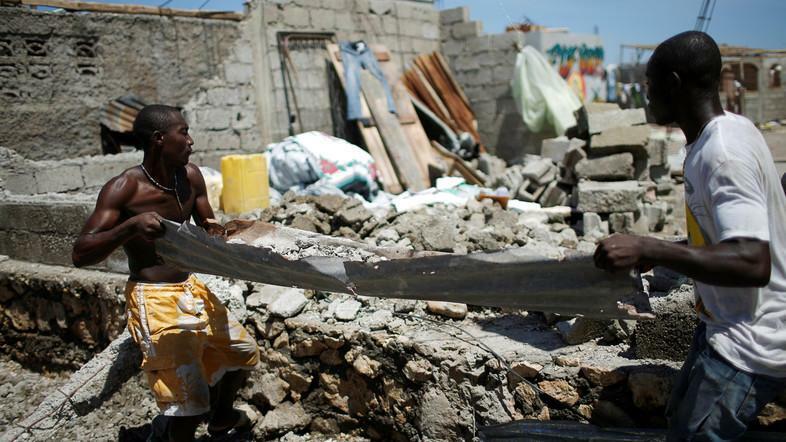 The post 12 Dead In Haiti As Aftershock Hits And 8 Quakes Shake Three Other Caribbean Islands appeared first on Caribbean and Latin America Daily News.